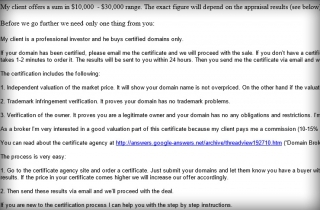 Domain auction scam is the new way i just discovered that people used to scam some online entreprenuers by asking them to do some certification of the domain before they can buy it from you. below is the mail i recieved to know that its a scam and also with my findings. My client can pay you a price in $20,000 - $40,000 range. My client is a professional investor and he buys certified domains only. 1. Independent valuation of the market price. It will show your domain name is not overpriced. On the other hand if the valuation comes higher we will increase the price accordingly. 2. Trademark infringement verification. It proves your domain has no trademark problems. 3. Verification of the owner. 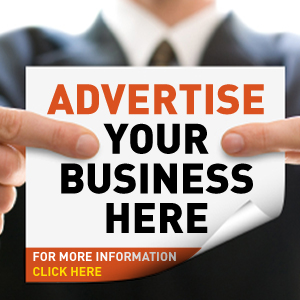 It proves you are a legitimate owner and your domain has no any obligations and restrictions. I’m sure that you are a legitimate owner so it will be only a formality. As a middleman I’m very interested in a good valuation part of this certificate because my client pays me a commission (10-15% of the sale price) on every domain purchase. So I’m not interested in a low price too. You can read about the certificate agency at http://www.answers-google.org/answers/threadview/id/184826.html (“Domain Broker” is my nickname). 1. Go to the certificate agency site and order a certificate. Just submit your domains and let them know you have a buyer with $20,000 offer and need a valuation near this value. After several hours you will get the results. If the price in your certificate comes higher we will increase our offer accordingly. If you are new to the certification process, I can help you with the step by step instructions. With the above mail sent to me you might have not notice some errors if i have not quote them out for you. WHAT IS WRONG WITH THE MAIL SENT? The first thing i noticed from the mail is that he use a very assured statement that it will only take them nothing more than 24 hours to do and if he did not own the domain for scam how will he tell you that he is very sure of that company. Don't make transaction with anyone without making a real and tough search about the program you want to venture into. 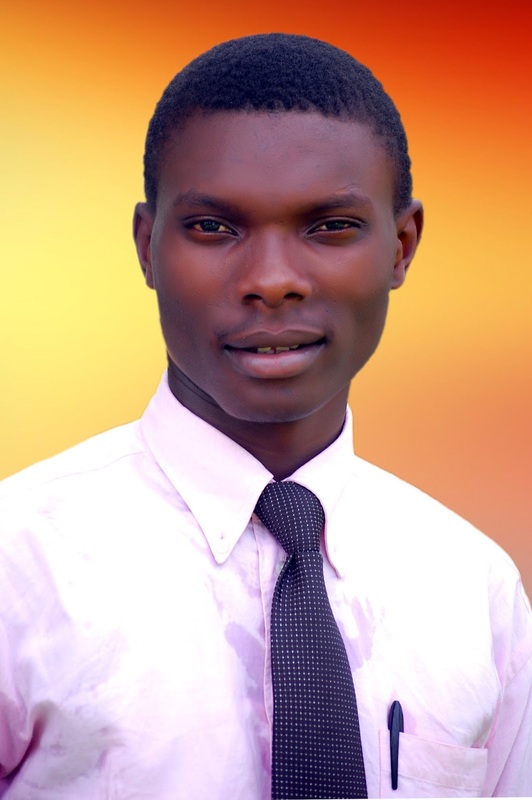 NIGERIA NEWS IS A GROUP OF LOYAL NIGERIANS TO BRING YOU POLITICAL NEWS ROUND THE FEDERAL REPUBLIC OF NIGERIA.